My first book in my new series has just been released on Amazon. 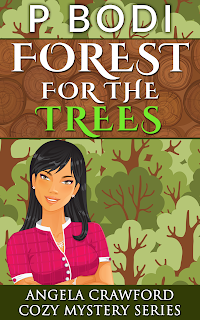 The new book is Forest For The Trees which is the first book in my new series Angela Crawford Cozy Mystery Series. Click on the book cover below to purchase the book. New Series and New Book Coming Soon! It's been a busy few months! Been working behind the scenes to get caught up and I think I'm just about there. I recently sent my newest book for a new series to my publisher for editing and release. Looks like it should go live sometime in the next day or so. Will post again once it's up and available.